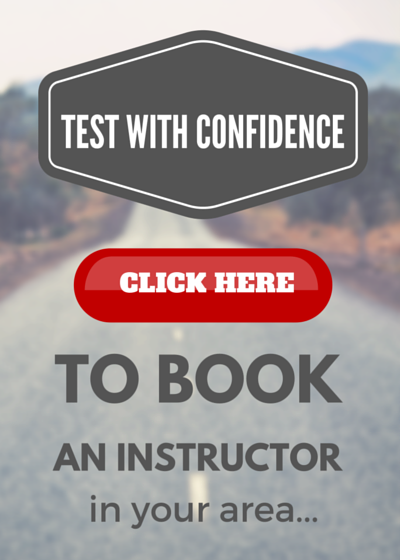 Getting ready to take your driving theory test? Don’t worry. Many learners find our mock theory test to be very helpful when preparing. This practice theory test offers 40 questions that are typical of what you can expect. The real test will have images to make it even easier! What can I expect from the Driving Theory Test? There are 41 NDLS locations around Ireland that offer the Driver Theory Test. In order to pass, you must answer 35 of the 40 questions correctly. Can I retake the Driver Theory Test if I fail the first time? Luckily, if you fail the test you can retake it after three days. However, there is a fee that must be paid each time, so it’s best to make sure you are well prepared before testing. The Road Safety Authority offers a fantastic online resource to help learners prepare for their Driving Theory Test at www.DrivingTheory.ie. Visit their site for up to date test preparation material and information on registering for your Driving Theory Test in Ireland. Below are a selection of Practice Theory Test Questions. If you have any questions please contact your local instructor who will answer them for you. At a cross roads of equal importance to whom should you give way to? Ans. People coming from your right. At a junction with a stop sign but no stop line, where should you stop? Ans. Just before the stop sign. What does a single yellow line mean? Ans. Parking prohibited during business hours. What effect does a traffic island in the middle of a pedestrian crossing have on the crossing ? Ans. It divides the crossing into two separate crossings. What are the road markings for a no-entry street? Ans. Full white line followed by a broken white line. Who is prohibited from using a motorway? Ans. Learner drivers, vehicles not capable of 50kms or with an engine under 50cc, invalid carriages, animals, cyclists and pedestrians. What does a broken white line mean? Ans. A broken white line means overtake if safe to do so. What does a broken yellow line signify? Ans. No parking at any time. What is the sequence of traffic lights? Ans. When your car is broken down, being towed or at the scene of an accident. Where is the only place you will see a flashing red light? How close to a kerb must you park? Ans. Where you cannot see far enough ahead – too close to junctions, on a bend, on a hump back bridge, at pedestrian crossings, in areas of zig- zag lines, over a continuous lines or hatch markings. What is a contra flow bus lane? Ans. It is a bus lane that flows in the opposite direction to the traffic, used only by busses. What is the two second rule? Ans. You must remain a minimum of two seconds behind the vehicle in front while moving along the road in dry weather. It is recommended that you increase this to 4 seconds in wet conditions. When should you dip your lights? Ans. When meeting cars, built up areas, continuously lit up roads, following behind a vehicle, when fog or poor visibility persists such as dusk and dawn. What do the rules of the road say about sounding your horn? Ans. You should not sound your horn between the hours of 11:30pm and 7:00am except in an emergency. What does a clearway sign mean? Ans. Proceed with caution, giving way to pedestrians who may still be crossing. To keep your Vehicle in legal condition, what should you pay attention to? Name four people in authority who have the right to stop you on the road ? Ans. People in charge of animals, emergency services personnel, school wardens and road workers. What does a steady amber traffic light mean? Ans. Stop if it is safe to do so, or as to not inconvenience other drivers by braking too harshly! When can you cross a solid white line? Ans. To avoid an obstruction, to gain access to private entrances or in the case of two lines in the center of the road you can cross the solid line if the nearest one to you is broken. What are you legally required to have before you can drive on any public road? Ans. You must hold a valid license (learner permit or full license) and have your vehicle taxed, insured and a current NCT. As a permit holder you will also be required to be accompanied by a full licensed driver who holds their licence for a minimum of two years and in the case of a learner permit driver you must also display L plates at the front and rear of your vehicle. What does a green traffic light mean? Ans. You may continue on if it is safe to do so. What is the safest way to park your car at night (If parked on a road)? Ans. Passenger side (left) to the kerb with the rear reflectors showing to the following traffic. What do Zig – Zag lines on approach to a pedestrian crossing mean? Ans. Parking and overtaking is prohibited in the area of these lines. Ans. When traffic in front is turning right, when you intend to turn left, when you are on a two lane road where the traffic speed is variable and the lane on the right is moving slower than the lane on the left. How would you recognQ34. ze a pedestrian crossing at nigh time? Ans. Flashing Amber Beacons either side of the pedestrain crossing. Ans. Proceed with caution giving right of way to pedestrians crossing. What is the minimum legal thread depth on a tyre? Name places you should not park? Ans. Close to a junction (not within 5mts) ,on a bend, on double yellow lines, on single yellow lines (within times zones) – opposite a continuous white line (causing other motorists to overtake), where you might block a sign, on the brow of a hill, opposite another vehicle on a narrow road, in a bus stop or taxi rank, on a foot path or anywhere you would obstruct other road users. Ans. SLOW DOWN!! , then look to the left, be aware of pedestrians, cyclists and obstructions on the left. If still blinded stop. Do not flash head lights in retaliation as you may blind others! What do horizontal of hatched lines generally found at the center of the road mean? Ans. You must use them like a traffic island and try not enter them unless circumstances force you to. How would you check your brake lights on your car if you were alone? Ans. Reverse your car towards a window and look at the reflection. What are the rules regarding the yellow box junction? Ans. You don’t go into it if you can’t clear it, except when turning right. What is the maximum legal speed limit on Irish Motorways? 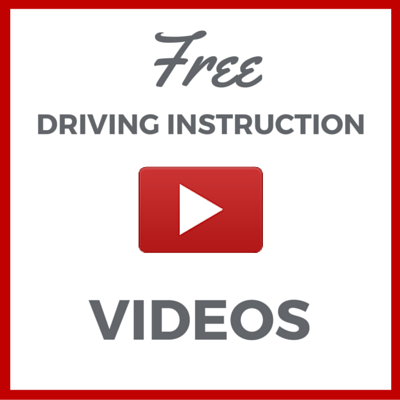 Learning to drive can be easy with our experienced driving school instructors. 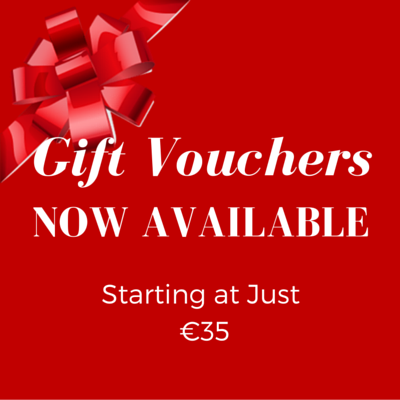 Choose this option to purchase a gift voucher for driving lessons with Declan O'Brien in North Wexford and Wicklow areas. You'll then be able to select a voucher amount from €30 upwards, write a custom message on your voucher, and complete your purchase. Choose this option to purchase a gift voucher for driving lessons with Simon Enright in Carlow. You'll then be able to select a voucher amount from €30 upwards, write a custom message on your voucher, and complete your purchase. q.10 Sequence for traffic lights at a pedestrian crossing are green red amber green. Are these the 2012 questions?.. And are these included in the theory test? Thanks for your comment. These are current driver theory questions which may be asked as part of your driving test. During your driving test a various intervals the tester may ask one or some or none (if your lucky) of these questions. Part of your main driving test includes a series of theory questions which may overlap with the questions asked as part of the Theory Test needed to get your learner permit. More Info on specific questions for the Theory Test prior to getting your learner permit can be found on http://www.theorytest.ie Hope this helps and best of luck with the Theory Test! Q17. What is the hard shoulder used for? Is this referring to the hard shoulder of a motorway? I thought pedestrians and cyclists weren’t allowed on motorways? The questions on the book and CD state that you should never use a handbrake while driving. The answer is “Never”. I can think of many situations where you brakes have gone out and your slowly rolling towards a quay with children in the back when you would definitely want to use your handbrake while driving. There are 18 other answers in the book that I can list where I have had to do different to their answer. Thanks for your comment Kenneth! I’m sure this feedback would be welcomed by the RSA. You can find contact info at http://www.theorytest.ie. If you still need the practice Kayleigh you can check out our driving tutorial videos and Irish traffic signs posts.